The motion was opposed by the Democratic Alliance as a costly election stunt that would cost the taxpayer some R20 million. A proposal by the Economic Freedom Fighters to name Cape Town International Airport after Winnie Madikizela-Mandela made for passionate debate in the National Assembly today, with the ruling ANC lending it only conditional support though she remains one of its most emblematic figures. EFF leader Julius Malema argued that naming the airport, that carried the name of apartheid architect DF Malan for decades, after Nelson Mandela’s second wife would correct a false narrative that men alone waged and won the liberation struggle against race-based rule. “It will liberate us from the false narrative that only men liberated us… to do this we have to start with Winnie Mandela,” Mandela said. He added that she was brave enough to continue to chant the name of the then-banned African National Congress when doing so meant risking jail and became a “towering figure” to whom South Africans from all walks of life related. ANC MP Dikeledi Magadzi, the chair of the portfolio committee on transport, cautioned the EFF on populism. “The ANC supports the idea of name changes but we must follow the necessary steps,” she said. Fellow ANC MP Xoliswa Tom added that parliament was not constitutionally empowered to resolve on any name change, and that the draft resolution sought to circumvent an ongoing legislative process on renaming undertaken by the Airports Company of South Africa (Acsa). 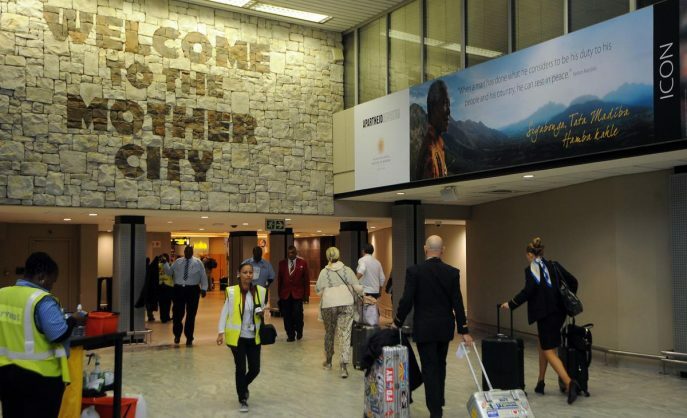 The United Democratic Movement however supported it wholeheartedly, with MP Nqabayomzi Kwankwa saying it would be fitting to name the Mother City’s airport after a woman considered the mother of the nation. “Our first port of entry should remind us of the mother who dedicated her life to our country,” he said. Malema’s response to the ANC’s failure to give its full backing to the motion was scathing. He said Magadzi was committing political suicide and was lacking in stature, that supporting the motion would be the first revolutionary act of her life. ANC chief whip Jackson Mthembu then rose and proposed an amendment to the draft motion for it to read that the National Assembly supports the process undertaken by Acsa towards renaming the airport which has received proposals to honour Nelson Mandela, Madikizela-Mandela, fellow ANC activist Albertina Sisulu, Pan Africanist Congress founder Robert Sobukwe, Khoi translator Krotoa and novelist and Treason Trial defendant Alex la Guma. Malema objected that Mthembu was subverting the purpose of his motion, which was for parliament to throw its weight behind Madikizela-Mandela’s name being chosen for Cape Town airport. “He is extending the scope, he is completely removing the core of the motion. He can write his own motion,” he said. But Mthembu’s amendment was approved with 224 votes to 25. There were six abstentions. The EFF argued that that their original motion should also be put to the vote, and that Deputy Speaker Lechesa Tsneloi was flouting parliamentary rules by not doing so. Tsenoli was accused by EFF MP Mbuyiseni Ndlozi of being undemocratic, leading to one of several shouting matches between the party and the deputy speaker. The party’s deputy leader Floyd Shivambu earlier called for him to be “removed like a dog” after he ordered Primrose Sonti from the chamber for remonstrating with him.